Do you want to allow visitors to order and choose the photos they like? That’s exactly what Proofing Addon for Envira Gallery allows you to do. This doc shows you how to let visitors choose gallery images or image options as part of a workflow or ordering process. Does GDPR apply to my proofing gallery? Why don’t I see the Proofing tab on albums? Why don’t I see the Woocommerce tab on albums? Why don’t I see the Watermarking tab on albums? In this instance, you’ll need to activate the Envira Proofing Addon. Next, navigate to the Proofing tab. 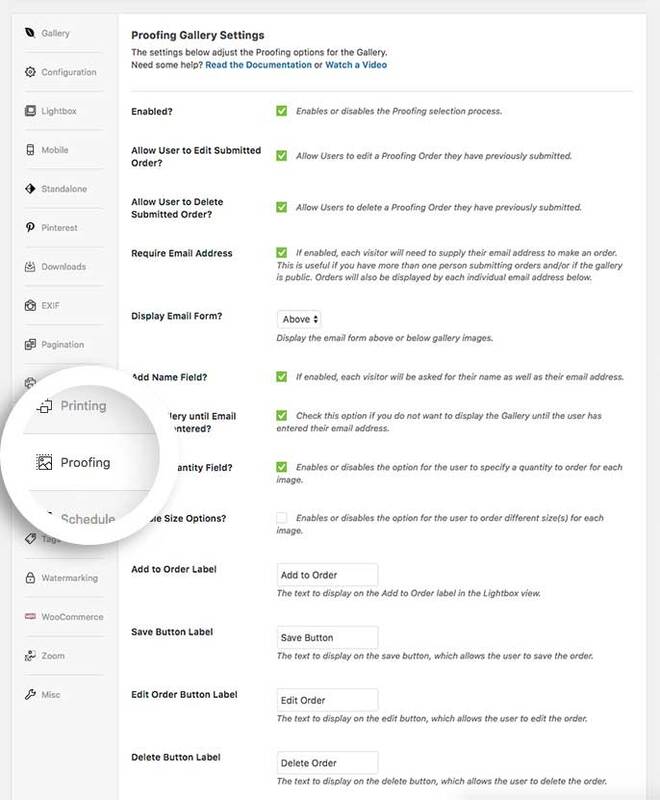 Here you can configure your proofing options. Each option will show a brief description of what the option does. In addition to the Proofing tab, you’ll also have some options on the Lightbox tab to choose if you want to display the proofing form inside the lightbox. Q: Does GDPR apply to my proofing gallery? A:The only way the GDPR compliance rules may apply to you is if you’re requiring the user to enter their email address when submitting an order. This stores the email address on the Orders section on the Proofing Tab of your gallery. If you’re collecting email addresses for your proofing orders, we highly recommend you research the GDPR compliance regulations and make the necessary changes to your terms and conditions. Q: Why don’t I see the Proofing tab on albums? A: The Proofing Addon is only for Envira galleries and not available for Envira albums. Q: Why don’t I see the Woocommerce tab on albums? A: The Woocommerce Addon is only for Envira galleries and not available for Envira albums. Q: Why don’t I see the Watermarking tab on albums? A: The Watermarking Addon is only for Envira galleries and not available for Envira albums. Fix: Proofing box now appears in LightBox with quantity turned off. Fix: Submit orders not showing images. Fix: Order notes not editable in certain galleries. Fixed: Duplicate Thumbnails when adding from Lightbox. Fix: Cases where orders weren’t being submitted. Fix De-selecting not resetting layout. Fix: PHP Notice of undefined constant. Fix: Ensure image proportions not distorted when proofing option enabled for lightbox. Fix: PHP warning removed in certain areas if no orders were placed. Updated: Changed wording and label for "Enable Multiple Orders?". It is now: "Require Email Address?". 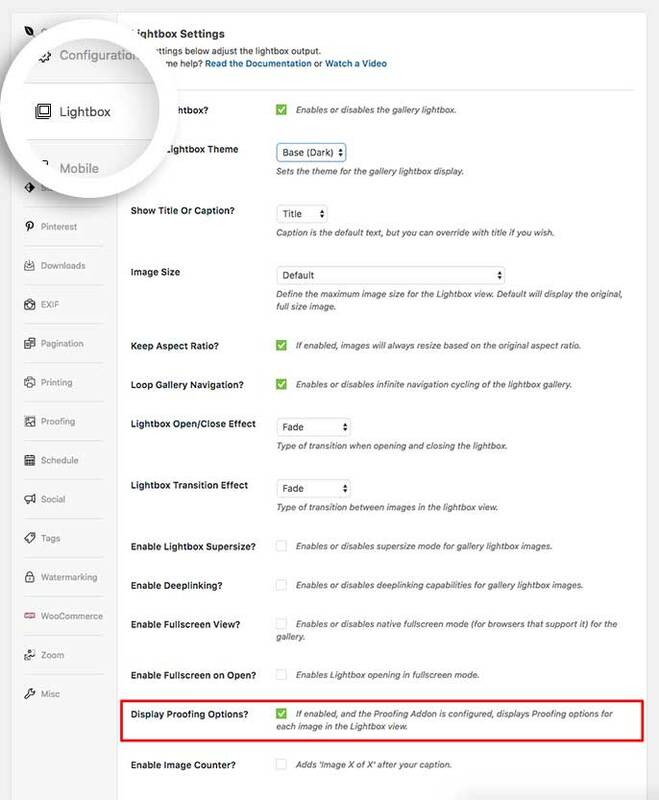 Fix: Lightbox input field color background wrongly inherited by some themes, resulting in quantities not displaying within fields. Fix: Remove padding on input elements, to ensure quantities are displayed correctly. Fix: Escape attributes to ensure characters can be used in all setting fields. Added: Option to store multiple orders, each with a unique email address, against a single Gallery. Fix: Order Details in Admin only displaying last item’s sizes and quantities.